Growing up on a farm in Victoria, Samuel Junghenn’s first entrepreneurial venture was a self-managed egg business. After successfully earning more pocket money than most kids need, he decided to start a snowboard importing business at age 17. After riding the financial and emotional ups and downs of that business, Samuel took some time out to focus on his studies in Human Potential and Neuro-Linguistic Programming. This took him off the farm and to Sydney where he decided to try something different. Samuel was drawn to the world of digital marketing and it quickly became his new passion. The ongoing shifts in the field offered a stimulating environment and with a quick mind for data and stats, Samuel built up a successful business with multiple streams of revenue. After privately coaching a few students, Think Big Online was started. Here, Samuel could help business owners implement the very strategies that were working for him. Think Big Online specialises in helping businesses integrate their marketing efforts into a single stream, creating massive leverage and results. Under Samuel’s leadership, Think Big Online has acquired an enviable list of clients and grown to a team of 30 staff. This includes specialists in specific areas of digital marketing, from search engine and social media marketing to content marketing and automation. 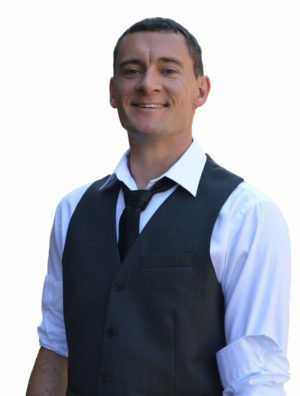 Samuel is dedicated to helping business owners achieve the next level of success. What sets him apart is the ability to simplify complex digital marketing concepts and create systems which can be quickly deployed to generate quantifiable results. Think Big Online’s unfailing commitment to tracking, testing and obtaining detailed insights into campaign performance delivers levels of success which are unrivalled by any other business in Australia.